For presentations & public speaking coaching, presentations training seminars, personal or team presentations coaching (proposal orals, short list interviews), stimulating conference programs, you’ve come to the right place…THOMAS LEECH & ASSOCIATES. 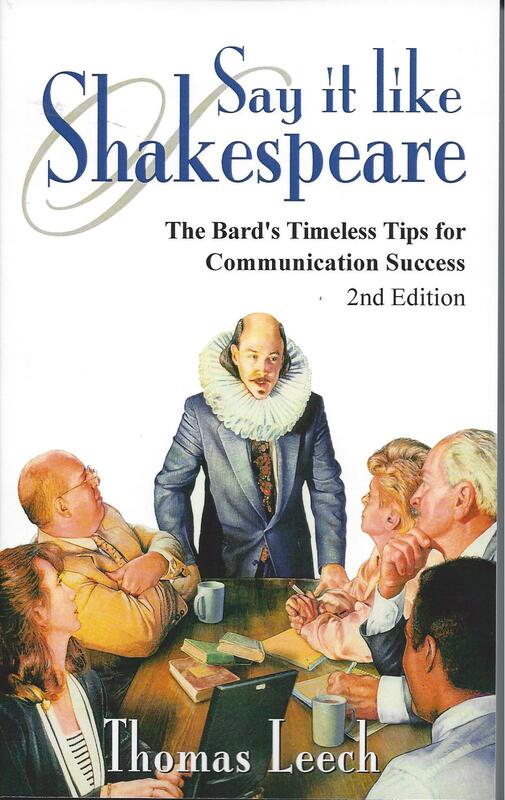 Since 1980, we’ve helped dozens of organizations nationwide win contracts, enhance presentations capabilities and sharpen communication, applying principles from How to Prepare, Stage & Deliver Winning Presentations and Say It Like Shakespeare: The Bard’s Timeless Tips for Communications Success. Here are some ways we’ve supported training, coaching, marketing, and important team meetings. Contact us to discuss specifics. Too many internal or external presentations are boring, with overloaded graphics, PowerPoint carried to excess, weak sell and mediocre delivery. Good people but thin on confidence or skill. Our Winning Presentations Training Seminars sharpen capabilities, confidence and success for Program Managers, Techies, Sales teams, Operations, and more. Many Sr. Execs could benefit from a brush-up on their own presentations per customer feedback, observation, self-critique). Our 1-day Sr. Executive Brush-up Seminar tunes rusty skills and provides valuable feedback from colleagues and instructor. Very positive response. For a major user conference, your content experts will be preparing update presentations for customers worldwide. Personal coaching & training of presenters enhances confidence, readiness, and results. For an important meeting, you want a stimulating and relevant program. (Management, all-hands or sales team meeting; Customer/partners meeting; Industry/Association conference…) My conference keynotes and workshops on communication, presentations, leadership, and marketing add a light touch, high interest and genuine take-away value. A “high stakes” presentation ahead (proposal orals, short list interview, financial pitch, all-hands meeting, critical review, product introduction…). We provide “hands-on coaching” to teams or key speakers to help get a polished, cohesive, and winning presentation. Customer now stresses oral over written proposals; your experience on these is thin. You have some major proposals ahead requiring orals. Our Winning Proposal Orals Seminar covers proven approaches for achieving a well-prepared, cohesive, winning team. executive coaching achieves Winning Presentation, added assurance and results. One or two key individuals could benefit from a presentations training program but no in-house seminars are planned. Our Winning Presentations (2-day, small group) Public Seminars provide timely and well-proven options. “Failure to communicate” is too common in your meetings and team communication. Too much time wasted, team relationships weak. Our 1-hour to half-day programs sharpen meeting productivity and communication. Hands-on facilitation keeps key meetings on track toward results.